I posted a preview of today’s post on Instagram and I was promptly instructed to post ASAP 😂 so I am doing just that! In today’s post, we are talking Dresses and I am collaborating with Asos to share the launch of their Occasionwear line. If you have been reading this blog for any length of time you already know how I feel about Asos. 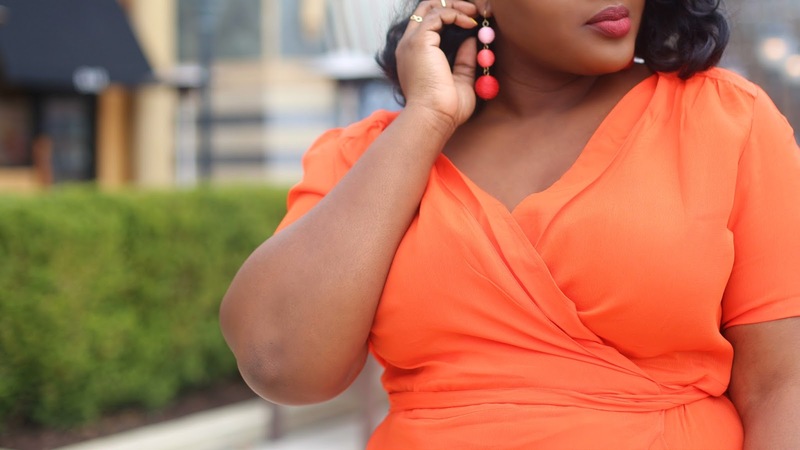 It’s one of my go-to places to shop, with dedicated Plus size, Tall and Petite offerings, they have it all covered. 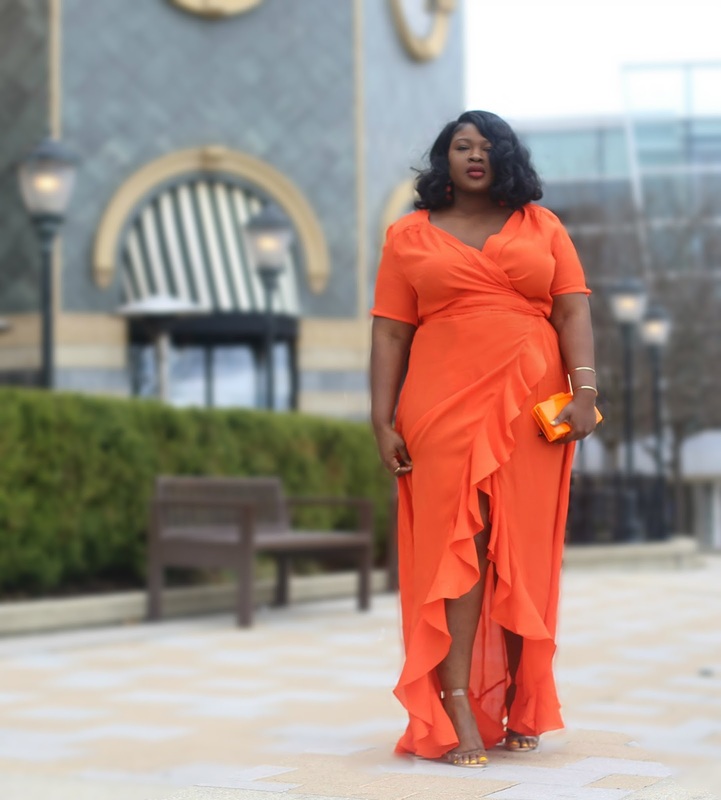 In addition to sharing this gorgeous Maxi, I’ve rounded up a few of my picks from the site below. To take it a step further I also have a video trying on and reviewing a few more options Here. It’s almost wedding and prom season and, I’d say that Asos’s Occasionwear launch is right on time. Make sure to check out the line Here. 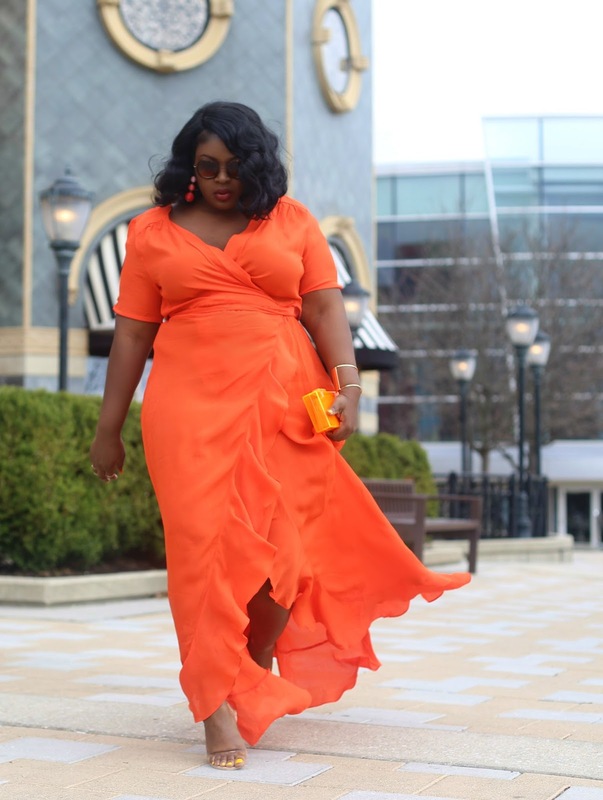 As soon as I saw this gorgeous ORANGE maxi on the site I knew it had to be mine! The color, ruffles, and tail just spoke to me. Also the fact that the Dress came in TALL 😱 sealed the deal, Im on the border at 5.7′ it can be so hard finding Maxis I can wear with heels. 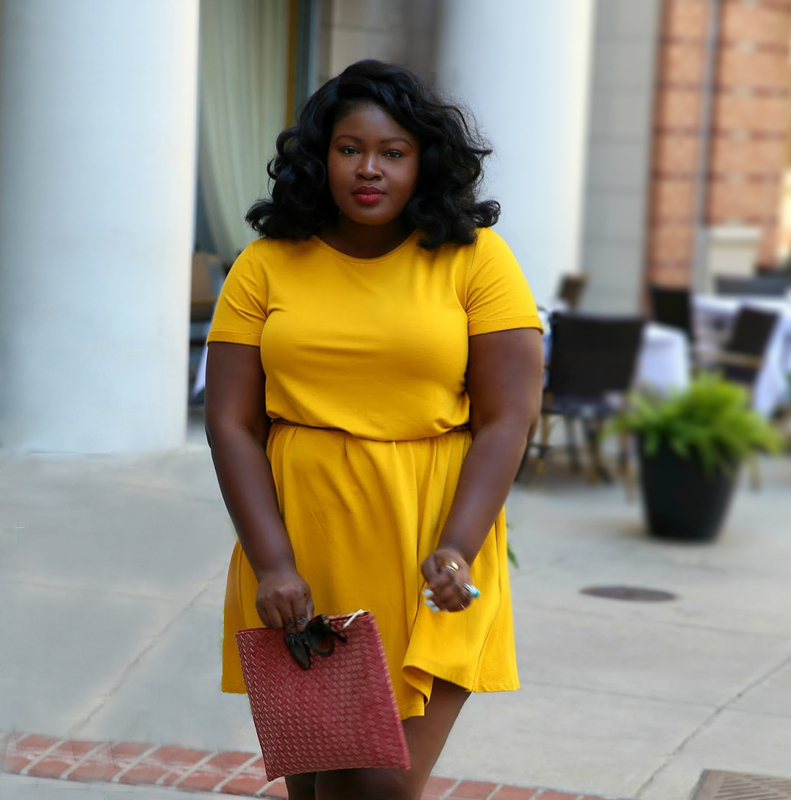 Another plus is that this Dress comes in a solid color and in a style that can be easily dressed up or down. This dress would be perfect for a beach/garden wedding or perhaps for dinner on your anniversary getaway. I styled up the Dress by pairing it with the Crispin drops from Bauble bar. I love the ombre effect, which ties in nicely with my box clutch from Zara. I kept the rest of the look pretty minimal with a gold Cuff and perspex Sandals. Tip: When rocking a dress like this, it’s all about the accessories. I could have easily paired the Dress with this Ring handle tote and Embellished flats (see ss17′ Shoe Guide) and the look would be brunch appropriate. 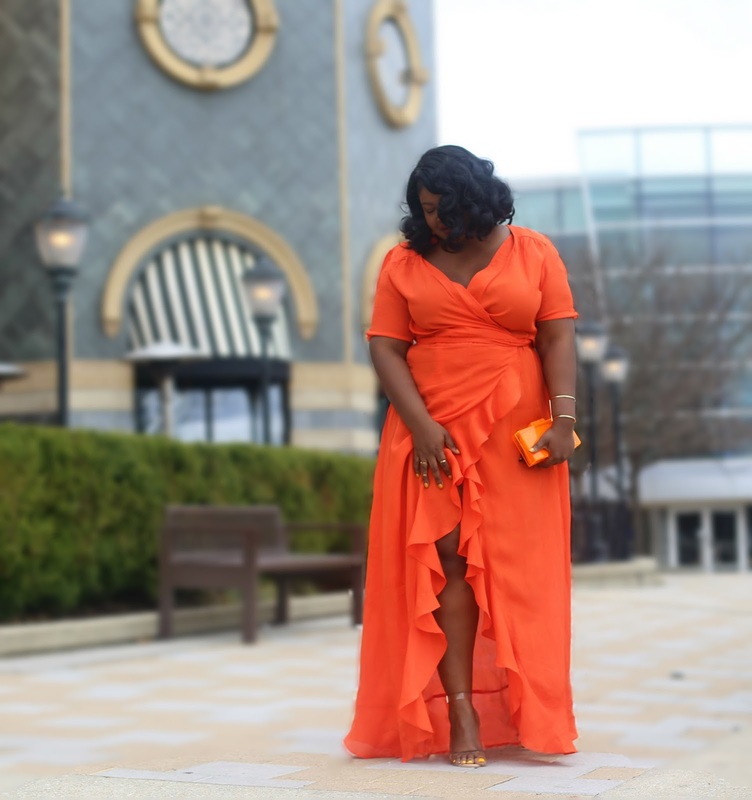 Are you loving all this talk of occasion wear, sign up for our Newsletter for exclusive content and upcoming happenings also follow this blog on Bloglovin so you never miss a post. You look Awesome and I love this orange on You. Orange just happens to my absolute favorite color. Enjoy. .
Hi! Does this by any chance come in regular or short length? Thanks!